Visitors to Cooley Dickinson Hospital have access to a number of on-site amenities, including food and drink, coffee, an ATM and vending machines. Refer to the more detailed descriptions below for building locations and business hours. We take pride in the fact that our high-quality, healthy meals are made from locally sourced fruits, vegetables and meats. 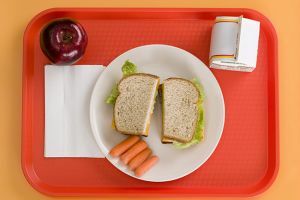 The hospital cafeteria serves coffee, tea, cold drinks, full breakfast and lunch, stocks a selection of baked goods, chips/snacks and fresh fruit and has a full salad bar. Hours are 6:30 a.m.-2:30 p.m. p.m., and the daily menu can be accessed by calling 413-582-2469. Cash, checks and credit cards accepted. 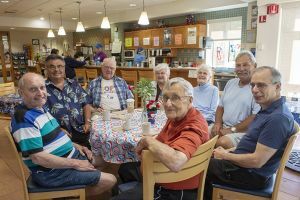 The volunteer-staffed Coffee Shop is there for you even when the cafeteria is closed, and offers many of the same amenities, plus snacks-to-go, daily donuts, cookies and pastries. They also serve sandwiches, breakfast in the morning, pie and ice cream. The Coffee Shop has a comfortable dining area and even some outside tables to sit at during the warmer months. Coffee Shop hours are Mon-Fri: 8 a.m.-7 p.m. and Sat-Sun 11 a.m.-3 p.m. For more information, call 413-582-2253. Also run by the Friends of Cooley Dickinson, the Gift Shop is where you’ll find that thoughtful present you meant to pick up before rushing from work or school to get here. 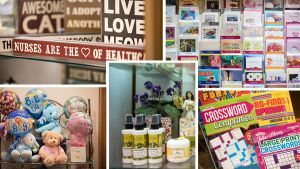 Located at the hospital’s main entrance, the Gift Shop offers a varied, affordable selection of gift items for patients and visitors, including flowers, jewelry, stuffed animals and baby gifts. And feel good knowing that by shopping in Cooley Dickinson’s Coffee and Gift Shops you are supporting the Friends of Cooley Dickinson funds for patient services. Gift shop hours are Monday, 9 a.m.-4 p.m.; Tuesday- Friday, 9 a.m.-7 p.m. and Saturday, Noon-3 p.m. We are closed Sunday. For more information about the Gift Shop, call 413-582-2254. 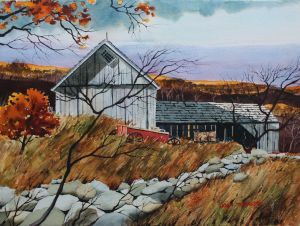 The Friends of Cooley Dickinson sponsor the ever-changing panorama of drawings, paintings, photographs, digital prints and other media that festoon the walls of the hospital’s North and West galleries, and also in the medical building at 22 Atwood Drive. Art displayed is by artists from the local community and rotates monthly to keep offerings fresh, maximize exposure for as many local artists as possible and to allow for celebratory monthly openings with food, drink and occasional live music. 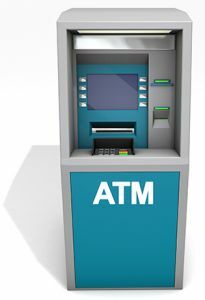 For your convenience, there is an automatic teller machine (ATM) located in the alcove just past the Gift Shop in the Main Concourse on the left. 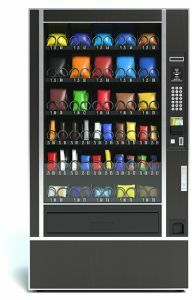 Snacks and cold beverages are available at all hours from variously located vending machines, which can be found on the Ground floor on the opposite end of the hallway from the Cafeteria, in the Emergency Department waiting area, and at North Entrance Lobby.